Some California kiddos dug up more than just dirt while playing in their backyard in the 70s. The children flagged down local police to report what they said felt like the roof of a car. Police responded with a skip-loader and unearthed a green 1974 264 Dino Ferrari. 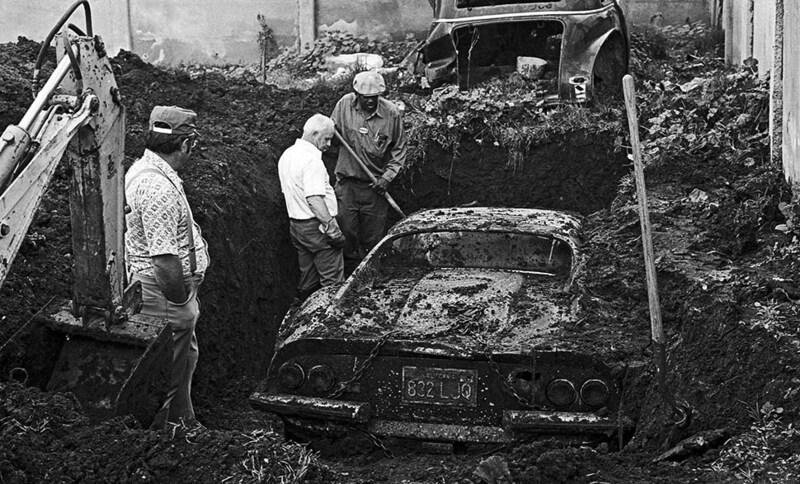 The stolen Ferrari had apparently been buried there, and remains in surprisingly good condition.